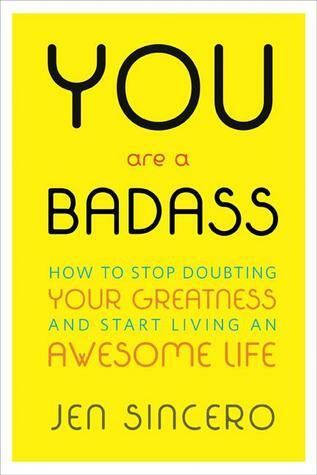 You Are a Badass isn’t about becoming a badass; it’s about discovering the badass you always were on the inside. This book will teach you how to be happier, solve your problems quicker, achieve success, and manage your time and money better. One of the fundamental principles of this book is that the beliefs you hold shape the decisions you make and therefore are the keys to your success. However, many of us hold beliefs that limit us instead of empowering us—this book will teach you how to change that. It will also help you gain a fresh, positive perspective on how you can achieve success. Jen Sincero is a No. 1 New York Times bestselling author, speaker, and success coach who has helped countless people transform their personal and professional lives via her public appearances, private sessions, and coaching seminars. She’s spoken on stages all over the world and has coached many people, helping them build their dream businesses, become New York Times bestselling authors, navigate million-dollar business deals, and find their soul mates. Prevent subconscious beliefs from limiting you. Learn to deal with the criticism and disapproval others may give you when you are trying to make positive changes. Gain a fresh perspective on what you want to do in life. Take that first step toward your goals. Be grateful for the things you have.